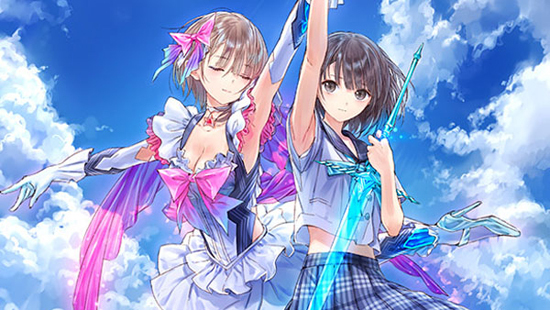 Blue Reflection takes place at Hoshinomiya Girls’ High School, where players assume the role of student Hinako Shirai. When Hinako’s ballet career comes to an end after a tragic accident, she closes her heart off from the rest of the world. However, her life changes when she meets her new best friends, the magical Shijou twins – Yuzu, who is adored by her classmates for her cheerful and warm personality, and Lime, who is more logical and selfish. The twin sisters bestow Hinako with the power of a Reflector, a champion who can manipulate a mysterious parallel dimension known as The Common. Hinako can freely move and shape this mystical realm’s beauty with her imagination, but she soon understands the very real perils that await her and her friends. As Hinako learns to treasure her companions and creates new bonds with those around her, she gains new strength to help her fight in The Common. With more information on the game’s narrative, compelling characters and key mechanics being revealed in the coming months, Koei Tecmo released a selection of images showcasing school life in Blue Reflection, providing a first look at the game’s main character, Hinako Shirai, her closest friends, Yuzuki and Lime Shijou, Shihori Sugamoto, the innocent fashionista who treats everyone as equals, and the troublesome but kind-hearted Chihiro Inoue. Koei Tecmo Europe also announced a delightful selection of pre-order bonuses available to those who purchase the title from Independent Retailers through Centresoft, or digitally on the PlayStation Store and Steam Marketplace, ahead of its launch on the 29th September 2017. The pre-order pack will include the School Swimsuit and Rorona style costumes, the latter being the outfit of Rorolina Frixell from Atelier Rorona – and a “FreeSpace!” theme to change the look of their social networking app, a key in-game feature used to stay in touch with companions outside of school. Those purchasing the game on the PlayStation 4 system will also receive an exclusive Original Custom Theme.